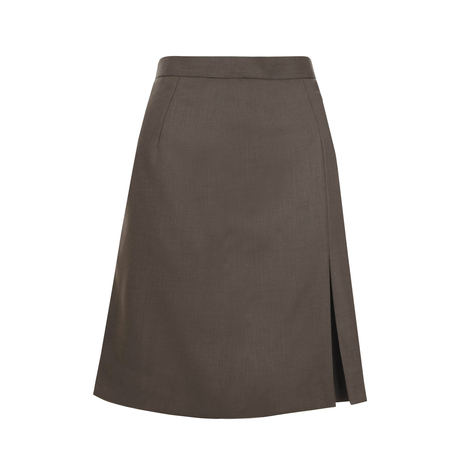 The Eden skirt is a brown, fitted A-line petite skirt that sits above the knee, featuring an inverted pleat at the front left. It fastens to the back with a concealed zip and single button. This Sixties inspired skirt suits all body types and is a trend that's here to stay! Comfortable to wear when seated at a desk all day, it doesn't sacrifice on style and sits high enough when worn to avoid looking frumpy. 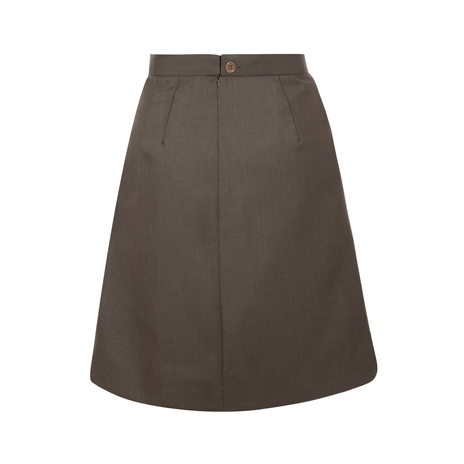 The Eden Skirt is a tailored fit and measures 51cm from top of waistband to hemline. Our model is 5'1" and is wearing a size 6. To make sure this skirt fits you perfectly, please refer to our size chart. 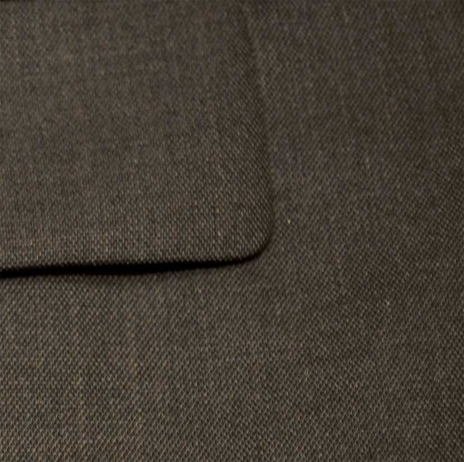 The subtle brown hue of the silky fabric proves a versatile piece in any wardrobe. Paired with a fitted blouse and pointed heels, the look is sharp. Wear with the petite Eden jacket and the crisp Stella shirt to complete the suit for business wear. Alternatively wear with a cream, silk, long-sleeved blouse and knee-high boots for casual days.